You are a primary teacher, you are not Science and Technology-trained and you are teaching the NSW K–10 Science (incorporating Science and Technology K–6) Syllabus for the Australian Curriculum. Well, this is the page where you should start developing knowledge, understanding of and skills in applying the processes of Working Technologically. In Stage 1, students are expected to use a structured design process to produce solutions in response to identified needs and wants. In Stage 2, they are introduced to generating and developing ideas, using creative techniques such as brainstorming and sketching. They develop the skills to evaluate a design and provide feedback on how a design can be improved. 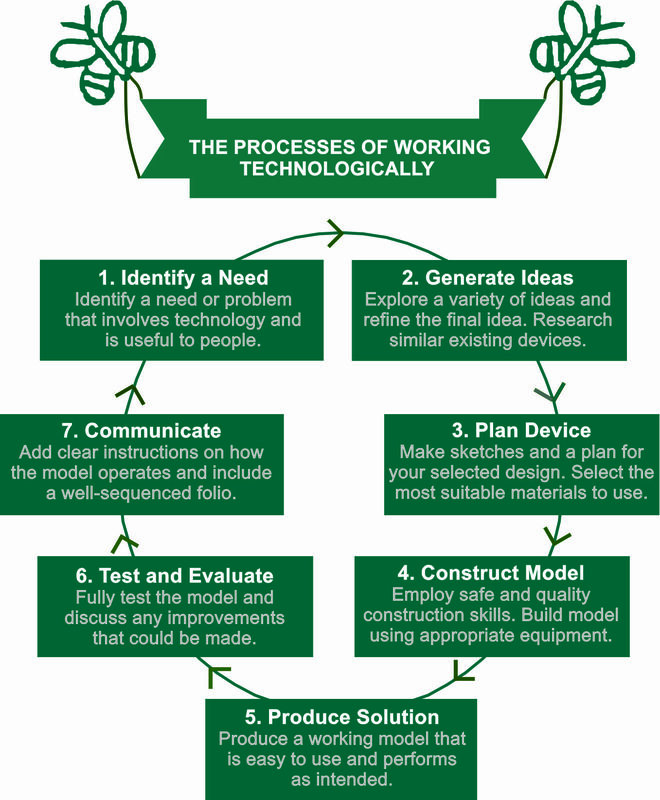 By Stage 3, students are expected to plan and implement a design process to meet the needs and wants of users. They develop specifications and production sequences to produce solutions for built environments, information and products. For the purposes of demonstrating what is expected in a typical, yet thorough entry for the OSHClub Inventions and Innovations Awards, we will use a 2015 winning Stage 3 project to give primary teachers a guide on how to put together a comprehensive prototype of an innovative device or application. This project went on to become a national winner in the primary category of the 2016 BHP Billiton Science and Engineering Awards and you can also view a video of this project. Identify a Problem – The team of three students identified a major worldwide problem of children dying of heatstroke after being left in a car. 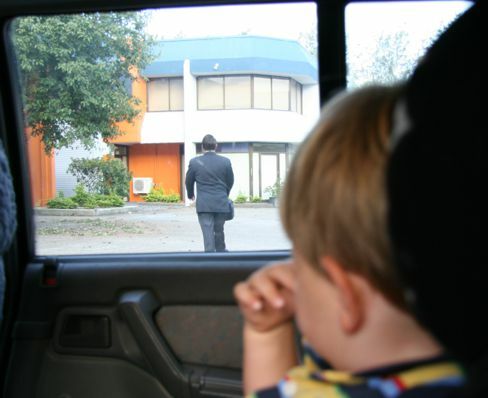 They found that this often occurs accidentally when a parent has a lapse of memory. Just before they started their project, a 22 month-old child passed away after his father forgot to drop him off at daycare. Research Current Devices – The students searched and looked at previous patents of systems that would prevent this problem and found they were all complicated including heating pads and pressure pads. They also researched what laws existed in relation to children being left in cars and found they were too lenient and circumstantial. Brainstorm Ideas – The team commenced by drawing up some questions that would guide their design ideas process. Questions such as “How will our product know when a baby is in the seat?”, “How will it know when the parents aren’t in the car?” and “How will it notify the parents?” They also wanted a solution that was simpler than existing products. Select Best Idea – Their initial ideas included creating a computer chip with electric circuits or creating an app that notify parents via their phone. However, the students’ best idea was to create an alarm system that alerts the parent when the child is left in the car. An electronic alarm that triggers when the child seat buckle is still done up, when the car engine is turned off was their preferred idea. It did not rely on moving parts and they planned to incorporate a 60 second delay so that it gives the parents time to unclip their child before the alarm goes off. Sketches – The planning stage took most of the time. Different circuits were attempted and working out where to put the relay was the most challenging part. 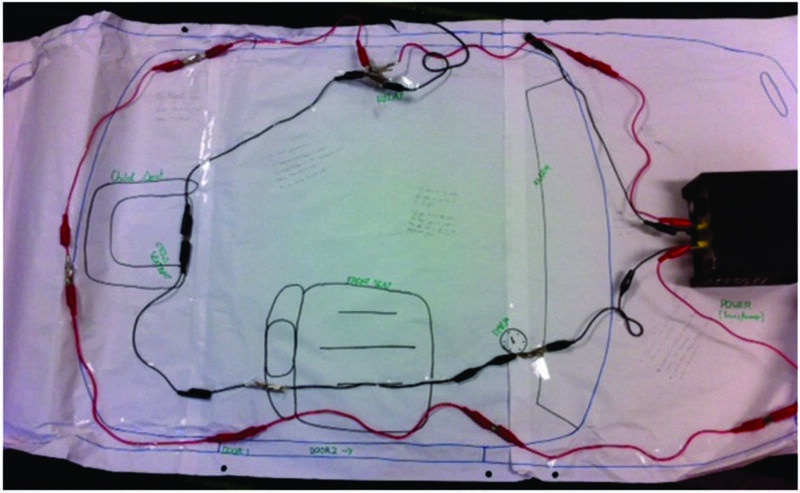 Selecting Materials – Being a model, the team did not have to use high voltage wiring as found in cars. They were able to experiment with cheaper electronic components such as wires, alarm/bell and a relay. Construction Skills – With the electronic components they had to experiment with parallel and series circuits so that the alarm can only sound when the car engine is not running and the child seat is closed (buckled up). They also planned constructing a timing device that only activated the alarm when both circuits were closed for sixty seconds, however, they did not get to complete this. Construction was simple wiring with alligator clips so no soldering was required. Safety – As the model only involved simple circuitry and no soldering, the risks were minimised. Refining final device – Some of the challenges that they faced were connecting all the circuits accurately and finding the right equipment. They were not able to obtain a sixty second electronic timer so they left this out. In a real car situation, the transformer that powers the circuit will be located under the bonnet and the circuitry will go through the ignition system so it can identify when the car is turned off. Does the Prototype Work? – The alarm works when both the engine is off and the baby seat is still done up. It is very simple in its operation with alligator clips joining the circuit together. Discuss Improvements – The students have identified that the alarm would need to be louder to alert parents who may have walked away from the car during the sixty seconds. They also mention that they need to include a timer in the next prototype. Completing Folio – A folio containing the problem to be solved, the initial ideas and sketches and the final design, the stages of the model’s construction, the testing and the evaluations should support the model. The students did not submit a final folio. Explaining how Prototype works – A good explanation of how the model works was provided and the circuitry was left exposed so that the observer can see what is happening, which is better than having all the circuitry enclosed in a black box.